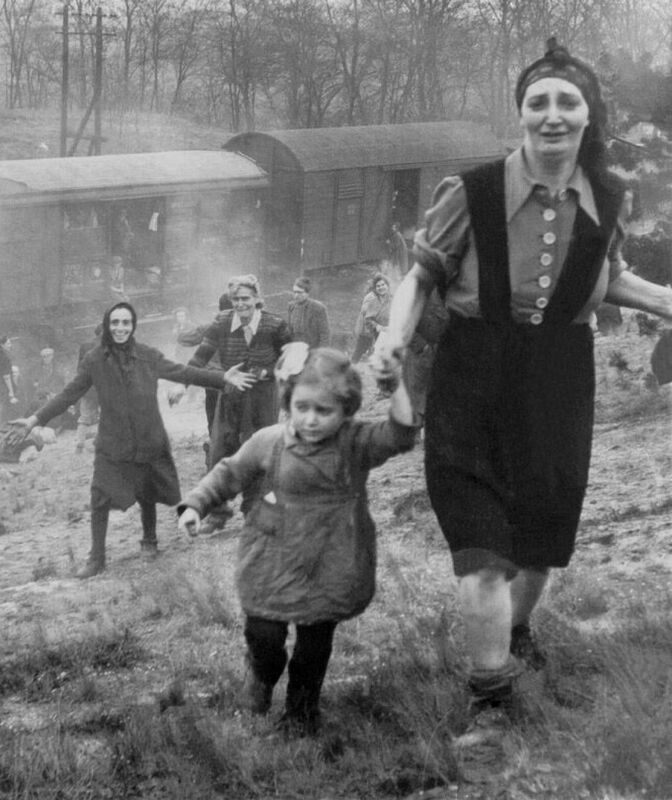 It has been called one of the most powerful photos of the 20th century and is surely one of the most moving from the Holocaust: a woman and a little girl running uphill from a train that had been liberated by American troops. Rozell discovered the photo in a shoebox in the home of a U.S. Army veteran in San Diego. Rozell was working on a project to commemorate World War II heroes, and I wrote about the story of the photo and the train for Haaretz last October an article that triggered an email from a woman who knows the little girl in the picture, now 77. In brief, in early April 1945, a few days before the liberation of Bergen-Belsen, three transports left that concentration camp in northwest Germany. Each train carried 2,500 Jewish prisoners heading for Theresienstadt north of Prague. One train was carrying Jews from Hungary, the Netherlands, Poland, Greece and Slovakia. Most of the prisoners had been fortunate enough to be housed in Bergen-Belsen’s “special camp” they had been selected by the Germans for future prisoner exchanges with the Allies. After several days, the train suddenly stopped and the Germans fled. Miraculously, U.S. soldiers arrived and released the 2,500 passengers, transferring them to a place where they received medical care. Eventually some of them immigrated to British Mandatory Palestine and the rest scattered all over the world. One of the U.S. soldiers, who had an excellent sense of history, pulled out a camera. After I published my article, I received an email from N., a Jewish woman who lives in Europe. 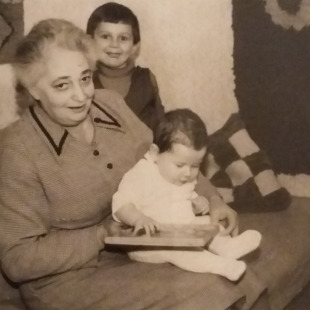 She wrote that she was the granddaughter of the woman in the photo a Jewish woman from the Hungarian town of Makó who was 35 at the time of the photo. Her daughter holding her hand was 5. 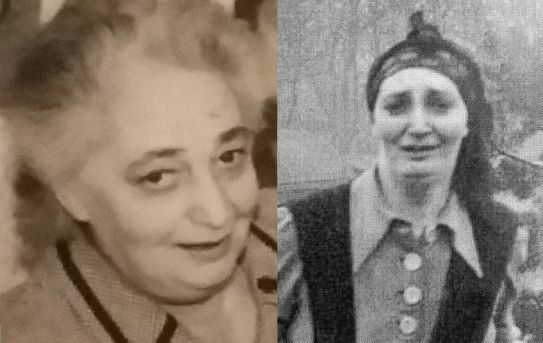 The woman, who died in the ‘80s, and her daughter didn’t immigrate to Israel after the Holocaust as did some of the liberated passengers, but returned to Hungary. N. says her grandmother and mother suffered psychological problems all their lives because of the trauma they endured. Alas, when I asked to meet the girl in the photo who’s now 77, I was told she preferred to avoid publicity. Mordechai Weisskopf, one of the prisoners on the train, was 14 at the time. For my story last October, Weisskopf, a retired physician from Rehovot who has since died, told me about the experience. “We saw American soldiers, and one of them shouted in Yiddish, his eyes flowing with tears, ‘I’m a Jew, too.’ There was an outburst of joy that is hard to describe,” Weisskopf said. The American soldiers who liberated the train were from the 743rd Tank Battalion of the 30th Infantry Division of the Ninth Army. One of the first soldiers to see the prisoners on the train was Capt. Carrol Walsh, the veteran who later put history teacher Rozell on to the story. Walsh also told Rozell how to get in touch with George Gross, who went on to teach English literature at the University of San Diego. From Gross, Rozell received photographs documenting the liberation. One of them was the image of the woman with the child. As it turned out, that photo was taken by another soldier, Maj. Clarence Benjamin, deputy commander of the tank battalion who was on his way to help capture the city of Magdeburg. As Rozell has put it, it was a miracle of history: Soldiers had reached the site equipped with Kodak cameras.